NO PURCHASE NECESSARY TO ENTER OR WIN. AFS Global Citizen Prize For Young Leaders is open worldwide for contestants ages 13 to 30. Void in Cuba, Iran, North Korea, Sudan, Syria, Puerto Rico, the US Virgin Islands and where prohibited. Begins 10:00 a.m. EST 3/27/2019, ends 11:59 p.m. EST 5/31/19. Visit www.afs.org/prize for free entry details and Official Rules, which govern. Sponsor: AFS Intercultural Programs, Inc., New York, NY. No purchase necessary. This is a skills-based competition among creators of inclusive and sustainable solutions for pressing global issues. At no point during the competition does an element of chance in any way influence or determines one’s likelihood of winning. 1. Eligibility. Except as provided below, the AFS GLOBAL CITIZEN PRIZE FOR YOUNG LEADERS (the “Contest”) is open worldwide to contestants who are at least thirteen (13) years of age at time of entry and no older than thirty (30) years of age as of October 10, 2019 (“Contestant”). Void in Cuba, Iran, North Korea, Sudan, Syria, Puerto Rico, the US Virgin Islands and where prohibited. The Contest is sponsored by AFS Intercultural Programs, Inc. (“Sponsor”). a. Current employees, shareholders, officers, directors, agents, and representatives of Sponsor, and any parent companies, affiliates, divisions, subsidiaries, agents, representatives and promotion and advertising agencies (collectively, the “Contest Entities”), are not eligible to participate in the Contest. The above notwithstanding, former employees, clients and other affiliates of the Sponsor may participate in the Contest. b. All Eligible Contestants who are under the legal age of majority in their country, state or province of their primary residence (“Minor”) must get their parent or legal guardian’s written permission to participate in the Contest. A minor will be required to provide parental consent in a form satisfactory to the Sponsors before he or she can be declared a winner and any prize can be awarded. The Contest permits Contestants to enter a skills-based competition, available through the website www.afs.org/prize (the “Site”), for a chance at winning a single Prize consisting of a cash award of ten thousand dollars (US$10,000.00), participation in the 2019 AFS Global Conference (Approximate Retail Value “ARV” of $2,500) and participation in the AFS Global Award winners’ network (ARV of $2,500). The total ARV of the Prize is $15,000. 2. Contest Period. The Contest shall begin on March 27, 2019 at 10:00am EST and shall end on May 31, 2019 at 11:59pm EST (the “Contest Period”). 3. How to Enter. To enter the Contest you must submit an application with all of the required information, a copy of which is available at www.afs.org/prize, by the end of the Contest Period (“Entry”). All Entries must be submitted using website entry. All eligible Entries will be evaluated in two stages as provided in the next section titled “Winning”. a. All Entries must describe a project that leverages diversity to create inclusive and sustainable solutions for pressing global issues associated with one or more of the United Nations Sustainable Development Goals (the “Project”) and must comply with the following restrictions. i. Contestants may only submit an Entry for a Project that they are in charge of or leading. ii. 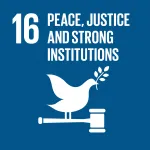 The Project must bring together diverse individuals and communities to tackle one or more of the global issues as defined by the United Nations Sustainable Development Goals. iii. The Project should be currently running and/or completed after January 2017.
iv. The Project must demonstrate success in achieving its stated goals. v. The Entry must clearly articulate how the Project leads to a more just and peaceful world. vi. The Entry must show how the Project successfully engages individuals or groups from different communities, backgrounds or cultural identities and how this aspect is crucial to advancing the Project. vii. The Project can have local, regional, and/or global scope and impact, and should demonstrate significant potential to be scaled up and extended. viii. Contestants must provide references through which the Sponsor can confirm that they, the Contestants, are in in fact in charge of the Project. b. Entries must be received during the Contest Period. The Sponsor’s computer shall be the official clock for all purposes of this Contest. Any attempt to submit an Entry other than as described herein is void. c. Only one Entry is permitted and only one Prize shall be awarded per person, family, household, team, company or Project. d. The Sponsor shall not cover or reimburse any costs associated with participating in the Contest. 5. Winning. Using a selection rubric, based on the criteria below, the Sponsor will shortlist the qualified Entries to a pool of 10 finalists. Finalists will be requested to submit a simple video answering 1-3 questions about their Projects. This video along with the finalists’ original Entries will be shared with a distinguished international Jury. The Jury will evaluate all Entries using the same rubric and the Contestant with the highest evaluation points will be announced as the winner of the Contest. i. ELIGIBILITY – The Contestant and the Project must meet all eligibility requirements as described in these Official Rules. ii. 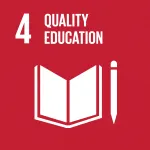 RELEVANCE – Entries must clearly describe the core United Nations SDG-related challenge that the Project is tackling and how the (proposed) approach will improve the situation. iii. (POTENTIAL) IMPACT – Project plan must include necessary approach and adequate plans for measuring its positive impact to address the challenge identified. iv. SCALABILITY – Project must suggest scalable solutions so that its benefits might be extended to others. v. INTERCULTURAL DIVERSITY – Project must bring together individuals and/or groups from different communities, backgrounds, cultural identities and uses intercultural diversity as an asset in achieving its stated goals. vi. VIABILITY – Entry must demonstrate how the Prize is expected to help the Project move forward and have its desired impact. vii. INNOVATION – Project must propose an innovative and unique approach in tackling the identified global issues. b. In the event of a tie, the Sponsor will score the tied Entries based on a review by the expert selection jury. c. In the event of a dispute as to an Entry, Sponsor’s determination shall be final. All decisions of the Sponsor are final and not subject to review or appeal. d. The Winner will be announced at the AFS Global Awards Ceremony on October 10, 2019 in Montreal, Canada. 5. Notifications. The Winner will be notified within 5-7 calendar days after being chosen and announced on October 10, 2019. The Winner will be contacted via email or phone as provided by you during Entry to confirm eligibility and compliance with these Official Rules. a. The Sponsor reserves the right to disqualify anyone who does not fully comply with these Official Rules or meets the participation criteria. The Winner may be required to execute an Affidavit of Eligibility, a Liability Release, and (where legal) a Publicity Release (collectively, “Prize Claim Documents”) within five (5) days of notification, or as directed by the Sponsor. The failure to respond timely, to the notifications and the failure to provide the Prize Claim Documents will result in forfeiture of the Prize and, in such case, the Sponsor may declare an alternate winner, based on the next highest evaluation points. Alternatively, if the Prize goes unclaimed or is forfeited by the Winner, the Sponsor in its sole discretion may choose not to re-award the Prize. 6. Prize. A single Prize shall be awarded to the Winner and shall consist of a cash award of ten thousand dollars (US$10,000.00) and participation in the 2019 AFS Global Conference (ARV of $2,500) as well as the AFS Global Award winners’ network (ARV of $2,500). The total ARV of the Prize is $15,000. a. Participation in the 2019 AFS Global Conference shall consist of travel (train or flight plus transfers), hotel, select meals and conference fees, all chosen and purchased directly by the Sponsor in Sponsor’s sole and exclusive discretion. To be eligible to receive this travel package, any Minor who is declared as the Winner may also be required to be accompanied by an adult. b. Participation in the AFS Global Award winners’ network shall consist of attendance of future AFS Global Conferences (travel, lodging and admission covered by the Sponsor) as invited by AFS. c. Winner may not assign or transfer the Prize to another person. No Prize substitution or cash alternative is allowed except at the sole discretion of Sponsor, who reserve the right to substitute a prize (or any portion thereof) of comparable or greater value, in its sole discretion. If the Prize cannot be awarded due to circumstances beyond the control of Sponsor, a substitute prize of equal or greater retail value may be awarded. d. The Winner will be solely responsible for all federal, state and/or local taxes, and for any other fees or costs associated with the Prize he or she receives. Expenses not stated are the sole responsibility of the Winner. e. The stated ARV of a Prize is based on available information provided to Sponsor and the value of the Prize awarded to the Winner may be reported for tax purposes as required by law. The Winner may be required to provide Sponsor with a valid social security number before the Prize will be awarded for tax reporting purposes. An IRS Form 1099 may be issued in the name of the Winner, for the actual value of the Prize received. f. Other restrictions may apply. 7. Rights of Sponsor. Sponsor, shall have the right, at its sole and absolute discretion to refuse any Entry which it finds to be in violation of these Official Rules, does not fully comply with all of Sponsor’ and/or these Official Rules’ requirements in connection with any and all clearance issues, or which it finds in its sole discretion to be otherwise objectionable for any reason. Sponsor also reserve the right, in its sole and absolute discretion, to terminate the Contest for any reason in the event that there is an error, problem or cause that impacts the operation, administration or security of the Contest. If the Contest is terminated by Sponsor as provided above, Sponsor may refrain from selecting a Winner or in the alternate may select a Winner from all eligible Contestants received prior to the action taken or in such manner as deemed fair and appropriate by Sponsor in its sole discretion. Reservation Of Right To Modify: Sponsor reserves the right to suspend, modify, alter or terminate the Contest if any federal or state law, rule or regulation, or any judicial decision or Attorney General Opinion, or any change in the current enforcement policy affects the legality of the Contest, in whole or in part. Any attempt by a Contestant to deliberately damage the Contest, the Site or undermine the legitimate operation of the Contest is a violation of criminal and civil laws. Sponsor reserves the right to prosecute and seek damages to the fullest extent of the law. 8. General Terms And Conditions. By participating, each Contestant agrees that the Sponsor and the Contest Entities are not responsible or liable for, and shall be released and held harmless from: (i) late, lost, delayed, damaged, incomplete, illegible, unintelligible, misdirected or otherwise undeliverable mail, email, SMS/MMS, postage-due notices, release forms, affidavits or other correspondence; (ii) telephone, electronic, hardware or software program, network, Internet or computer malfunctions, failures, or difficulties of any kind; (iii) any condition caused by events beyond the control of the Sponsor that may cause the Contest to be disrupted or corrupted; (iv) any printing, human, typographical or other errors or ambiguities in (or involving) any materials associated with the Contest; (v) any and all losses, damages, rights, claims and action of any kind in connection with or resulting from participation in the Contest; (vi) acceptance, possession, use or misuse of any Prize, including, without limitation, personal injury, death and property damage arising there from; and (vii) claims based on publicity rights, defamation or invasion of privacy. a. The invalidity or unenforceability of any provision of these Official Rules shall not affect the validity or enforceability of any other provision. In the event that any provision is determined to be invalid or otherwise unenforceable or illegal, these Official Rules shall otherwise remain in effect and shall be construed in accordance with their terms as if the invalid or illegal provision were not contained herein. b. BY ENTERING THE CONTEST, CONTESTANT AGREES THAT TO THE EXTENT PERMITTED BY APPLICABLE LAW: (1) ANY AND ALL DISPUTES, CLAIMS AND CAUSES OF ACTION ARISING OUT OF OR CONNECTED WITH THE CONTEST OR THE PRIZE AWARDED, WILL BE RESOLVED INDIVIDUALLY, WITHOUT RESORT TO ANY FORM OF CLASS ACTION; (2) ANY AND ALL CLAIMS, JUDGMENTS AND AWARDS WILL BE LIMITED TO ACTUAL THIRD-PARTY, OUT-OF-POCKET COSTS INCURRED, (IF ANY), NOT TO EXCEED TWO HUNDRED FIFTY DOLLARS ($250.00), BUT IN NO EVENT WILL ATTORNEYS’ FEES BE AWARDED OR RECOVERABLE; AND 3) UNDER NO CIRCUMSTANCES WILL ANY CONTESTANT BE PERMITTED TO OBTAIN ANY AWARD FOR, AND CONTESTANT HEREBY KNOWINGLY AND EXPRESSLY WAIVES ALL RIGHTS TO SEEK, PUNITIVE, INCIDENTAL, CONSEQUENTIAL OR SPECIAL DAMAGES, LOST PROFITS, AND/OR ANY RIGHTS TO HAVE DAMAGES MULTIPLIED OR OTHERWISE INCREASED. SOME JURISDICTIONS DO NOT ALLOW THE LIMITATIONS OR EXCLUSION OF LIABILITY, SO THE ABOVE MAY NOT APPLY TO YOU. c/o AFS Intercultural Programs, Inc.
All requests must be received by March 31, 2020. 71 West 23rd Street, 6th Floor.